I recently acquired a fairly decent media center computer and up until this weekend I had not really used it for much more than storing a lot of music and video files as it has a large hard drive and it isn’t a computer that I plan to experiment much with once I have it set up properly. Yesterday however I decided to install Ubuntu 12.04 and attempt to get the computer set up so that it can be used for its intended purpose which is as both a media centre and as a gaming computer (mainly retro gaming). The computer is connected to a flat screen television via a HDMI cable and it looks and behaves quite well. When I say quite well there was obviously one issue otherwise this article would not have been written. There was no sound. I tried the usual hunt around Google for an answer and there are a number of possible solutions but I am going to highlight the one that worked for me and it is so simple it is unbelievable. 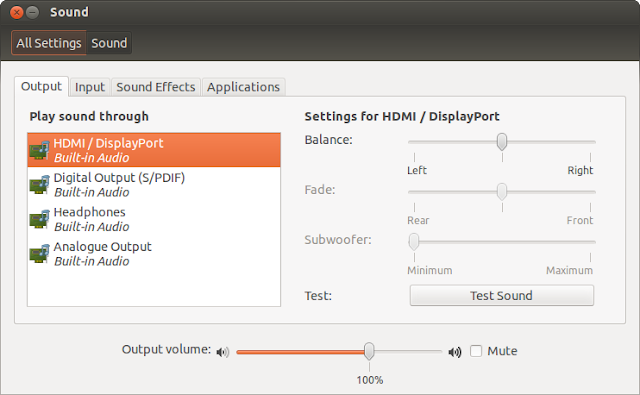 A number of the solutions revolved around the fact that the HDMI sound output was not available at all but in my case the HDMI output was available. First of search for “Sound” and click on the “Sound” icon. Look at the list of sound output devices. As you can see in the image above I have an HDMI output option. Before the fix when I clicked the test sound button on this screen nothing happened. There was no sound played. 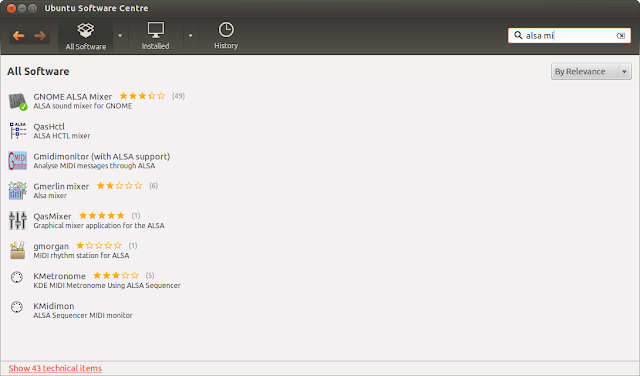 Load up the Ubuntu Software Centre. 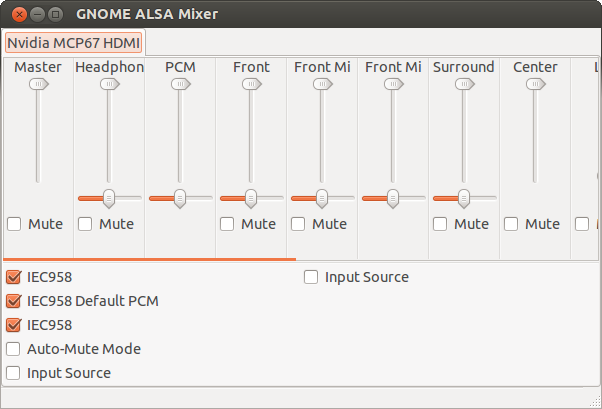 Install the Gnome ALSA Mixer application. When I first ran Gnome ALSA Mixer all of the volume bars were set to mute. By unchecking the mute boxes on this screen I was then able to play music via Rhythmbox. The solution was so simple it is unbelievable. Bizarrely I had tried running ALSA Mixer from the terminal and there was no indication that the volume was muted. I know this is not the solution for everyone but hopefully by posting this article I will at least aide someone else. This worked for me with one small difference.. In the gnome salsa mixer at the bottom there were two check boxes labelled IEC958 one was checked but the other wasn't. When I checked the second box Tue sound started working. Thanks for pointing that out, now it works! 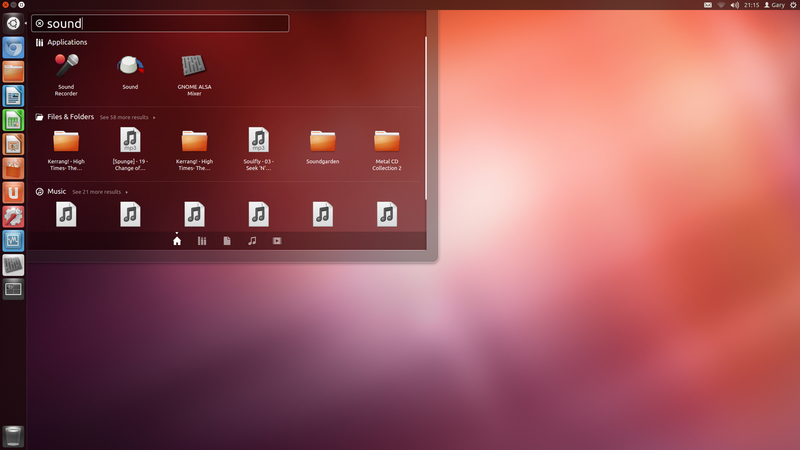 I have tried to make a bootable disk or a usb flashdrive for zorin 6.2 lite and cannot get it to work. Now I suspect that those of you who have gotten it to work was through a linux embedded program where as it zorin says nothing of this being a factor. My system is top of the line so capability could not be the problem I also have been to numerous forums where people are having the same problems, the answers given are completely wrong and do not work. Plus some of the answers are just plain stupid whereas they want you to do like an enormous amount of reconfiguring. You people really have a piece of @@@@ here. It's been reported about the in fighting going on in this group my bet one of them sabotaged the program. but anyway I spent alot of time trying to get this to work I give up. I have my windows for free and when I download something 100% of the time it works!In closing if you make something for the public the public has to have a clear way to access that which you are presenting in this lite you have failed on a grand scale. therefore zorin 6.2 lite is a failure.